The new Ford Focus is a compact car that offers dynamic performance and puts put the joy back in driving around Brandon. You can get the best in efficiency as well as classic Ford features in a Ford sedan! 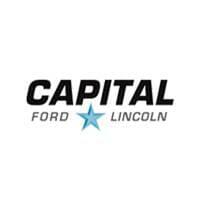 Browse our Ford Focus inventory at Capital Ford Winnipeg, and ask us about our Ford Focus lease deals for a low monthly payment option. Test drive the Ford Focus at Capital Ford Winnipeg near Steinbach to experience the thrills for yourself, with available leather seats, 17-inch alloy wheels, and more. Our experienced staff of Ford experts is standing by to help you find the right Ford model for your lifestyle and budget.